18-Day journey through the western Tibet Changtang route will allow you to see many beauties of Ngari. 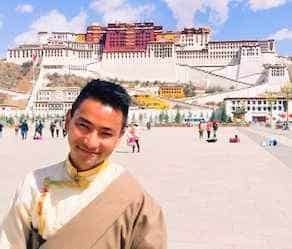 This is the shorter loop version of western Tibet tour, traveling in from southern route and traveling out from the northern route Tsochen town is the favorite for many Travelers. Grand tour for Travelers who love to explore the beauties of western Tibet. Below price is two people shared one room. If Travelers prefer to have a separate room, the cost is 500 US Dollar extra. After breakfast, we will drive to Shigatse. On the way, we will pass by Sangsang town, Namring town, and Lhatse town. We will see the beauties of hot spring and Lakes after few hours from Tsochen. Today you will visit Tashilhunpo Monastery, built in the 15th century by the first Dalai Lama. Nowadays seat of the Panchen Lama. We recommend doing Kora around Tashilhunpo Monastery. Also, you can walk around the local market. After driving back to Lhasa through southern friendship highway. 81 queries in 0.302 seconds.